Manchester agency Pixel8 has won a two-year contract for a fully-integrated marketing and communications campaign for Silver Bay Holiday Village on Anglesey. It follows a £2.5m investment at Silver Bay by its owners, the cider-making Bulmer family, which has funded a new leisure complex and 19 new lodges at a development called Headland Rise. Pixel8, which is based in the Northern Quarter, has been appointed as Silver Bay’s sole agency to create and implement a strategic campaign via print and digital media to raise awareness and help drive sales. 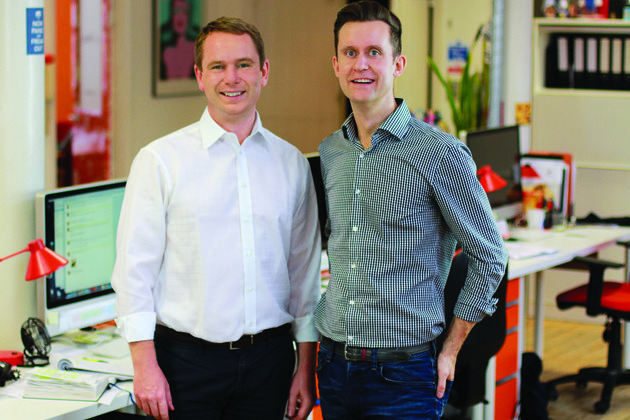 Jamie Watson, managing partner of Pixel8, pictured left with Pixel8 founder Nigel Daws, said: “This contract is testament to our abilities as a full-service marketing agency. Silver Bay, at Rhoscolyn near Trearddur Bay, has been owned by the Bulmer family for nearly 40 years. It spans 80 acres and has 150 holiday homes. Most are owned by people living within a two-hour drive of the complex, including Greater Manchester, Cheshire, Merseyside and Wirral. The new three and four-bedroomed lodges have been built to meet growing demand and each has a private plot with a terrace overlooking the sea and Snowdonia. The new leisure complex, which is free to use for Silver Bay property owners, features two pools, a spa, sauna and steam rooms, a health and fitness centre and the Pure Beauty facility which offers more than 100 treatments, including massage therapies, facials and wraps. Jamie Hughes, general manager at Silver Bay, said: “After a long search for the right partner who understands our business, ethos and vision, we were delighted to find Pixel8.